Former Luton keeper Craig King has made his first step back into football after signing for National League South side Oxford City. The 21-year-old left Kenilworth Road in the summer as he took a break from professional football after bravely admitting a long-running battle with depression. 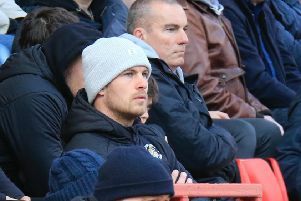 King, who came through the ranks with Town, making four first appearances, is reunited with former Hatters coach Joe Deeney who is assistant manager of City. After the news was announced, King tweeted: “Thanks for all the messages! Oxford boss Mark Jones told the club’s official website: “Craig is a good signing for us, he’s got good pedigree at Luton Town and he’s got all attributes to be a top keeper.